I am working on ideas for a new series of monotypes and drawings, based around words – words as part of an artwork. Isolated words can have a lot of impact and have of course been used fully already in art, to a lesser or greater effect. These works will be new to me, and I am simply referencing the vocal parts within me, the poetic part. It’s a strong part of me, and always has been. The high art world is always looking for something new and using the fact something hasn’t been done before (by anyone they know about) as the core justification for whether a work is worthwhile. There are many strands of argument and debate that analyse this idea, but one that I do feel very strongly about is that this fact doesn’t take away any originality or intrinsic worth from my own experimentation, or yours, whether or not it has ‘already been done’. 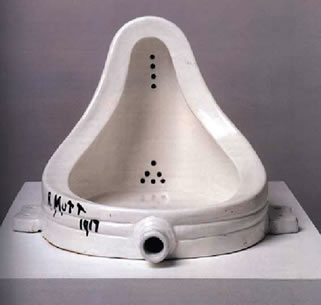 I am sure Duchamp would be amazed that so much of modern art is still reinventing his own Urinal and the ideas that spawned it; nevertheless, great work has subsequently been created. The process of experimenting is the fun part, the crazy part. 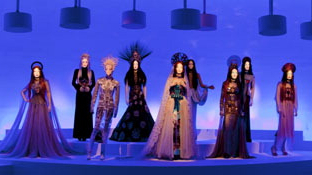 I recently attended a workshop on creativity at the Center for Creative Connections at the Dallas Museum of Art, and, in conjunction with visiting an exhibit of the fashion of Jean Paul Gaultier, the instructor Dr Magdalena Grohman brought home to me a more real way than ever before how much of what is outstanding and creative comes from play. Gaultier’s works are a perfect example of how playing with your materials brings new creativity, pushes new boundaries and unlocks new doors in our minds. It can also result in the most beautiful and lasting of all our works. My monotypes are the start of combining of my iPad drawings, with my painting, with my sketches and words. I plan to PLAY. Play with my materials, as well as with who I am and what I wish to express. Play has to have no end in sight, in my opinion. And so I am trying not to conceive of the end of this project – although, being possessed of a visual, conceptual mind, I already have a fully formed image of how I will show these works! It just sprang into my mind and it’s sitting there, waiting for attention. Nonetheless, I am going to smile politely at this idea, and turn to face a different direction, trying to keep my mind open to respond to the very act of creating, as I do it, in real time. Keeping yourself in the present is so hard, when we imagine the past and future so constantly. But I am trying. We all have a number. You absolutely right, “play” has no intention, no defined outcome. It’s experimental with out presupposition, just get in it and do it, and see what happens. I love to create this way, and I think it’s when I come up with my best work.